Sharon Piper joined the Silvernotes when she got out of high school. Now 80, Piper is still singing with group. Her late mother, Lucile Beechler, was in the group when Piper was a child. Piper, president of the Silvernotes and a lifelong Cicero resident, said the all-female group is first soprano, second soprano and alto. The Hamilton County Extension Homemaker Chorus debuted in 1936. The Westfield Washington Historical Society will feature the Silvernotes’ concert at 6:30 p.m. April 16 at Christ United Methodist Church, 318 N. Union St. Westfield. Piper said they will perform patriotic songs, including Civil War songs. 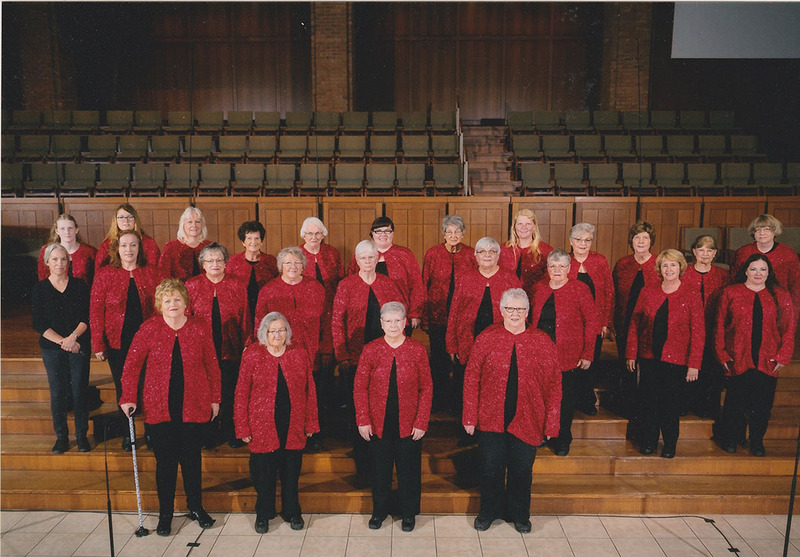 The Silvernotes are a Hamilton County Extension Homemakers Chorus, and has 30 members, mostly from Hamilton County. The Hamilton County Extension Homeworkers, a service organization through Purdue University, does community work. Betty Jo Christy, Noblesville, has been in the group approximately as long as long as Piper. Piper said the choral group performs 15 to 20 times each year. “We’re part of a state organization, and it has 450 members, and we give concerts off and on during the year with them,” Piper said. Diana Stanton is the director and Emily Brock is the accompanist for the concert. Light refreshments will be served. A freewill offering will be appreciated.